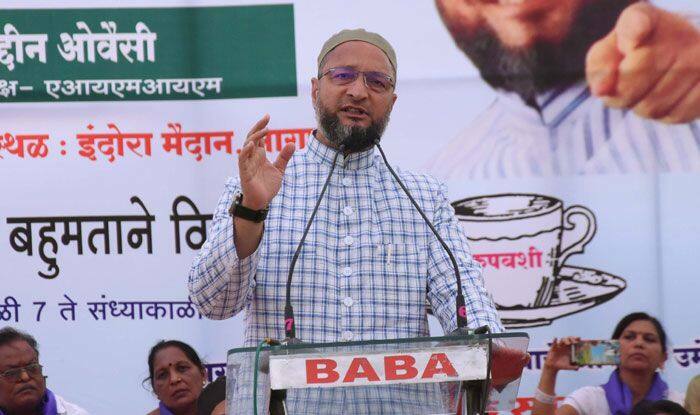 Majlis-e-Ittehadul Muslimeen (MIM) president Asaduddin Owaisi on Tuesday said his party stood by Hindu women who were abandoned by their husbands. “Majlis stood by our Hindu sisters who are victim to the cruel social evil of abandonment without divorce,” tweeted Owaisi. Modi told the rally that he had to face criticism for bringing a bill in Parliament to protect the country’s “sisters and daughters” from the “repressive tradition” of triple talaq. Asaduddin Owaisi and his younger brother Akbaruddin also hit back at Modi for calling MIM a ‘big speed-breaker’ in the development of the old city of Hyderabad. Addressing a public meeting Tuesday night, Akbaruddin reminded Modi that the Defence Research and Development Organisation (DRDO) and other defence research laboratories working on India’s missile programme were located in the old city. He said the ‘chowkidar’ should know that the Anti-Satellite (A-SAT) missile successfully tested recently was also developed here. Asaduddin Owaisi, seeking re-election from the Hyderabad Lok Sabha constituency for a fourth time, Tuesday tweeted about the works undertaken by his party. He said the MIM ensured the construction of schools, colleges and hospitals.